A population almost identical to that of Switzerland in a territory twenty times smaller, here is the first Asian land that a bottle of absinthe Larusée will see: Hong Kong! Literally “Perfume Port”, Hong Kong is located on the eastern shore of Pearl River, on the south coast of China, is bathed by the South China Sea and adjoins Guangdong province to the north. It is the eighth business entity and the third largest financial center in the world. 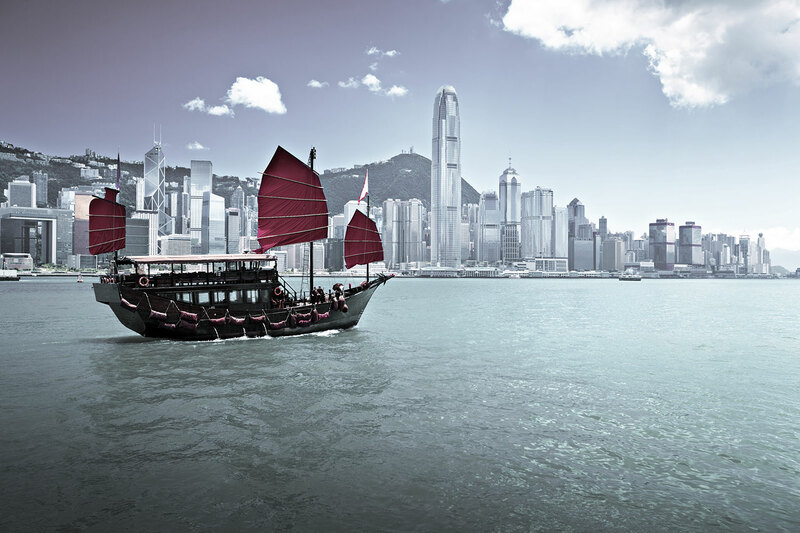 With a restaurant for 600 people, Hong Kong is probably one of the largest concentrations of restaurants per capita in the world! For Larusée, the more than 170 restaurants listed in the Michelin Guide, the many bars and cosmopolitan hotels represent an exciting challenge for a launch in Asia. To do so, we are accompanied by the excellent Damien Fleury, founder and director of The Swiss Wine Store which defends and distributes, in the world of gastronomy in Hong Kong, many high quality Swiss wines. Larusée will be the first spirit in its portfolio. The Swiss Wine Store, which also operates an online shop in Hong Kong, will initially offer Larusée Bleue 55% and Larusée Verte 65%.